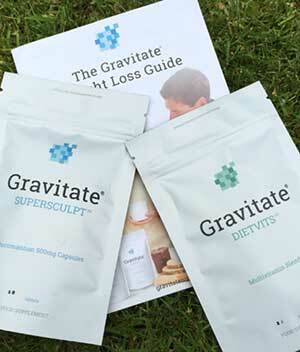 Gravitate Supersculpt, DietVits Review. Diet and exercise is an important part of the weight loss process, but many diet pill manufactures claim their pills and potions can replace diet and exercise rather than working with it. Dieters who buy-in to this kind of thinking invariably discover the magic pills they have purchased cannot do the trick and have to live with the disappointment of realising they have been conned. Graviton Nutrition is refreshingly different from such manufactures. The Manchester-based company has developed a couple of products designed to be used in tandem with each other alongside a calorie controlled diet and exercise. The company package their products together and sell them as a weight loss kit along with a free booklet that provides advice on healthy eating and exercise. 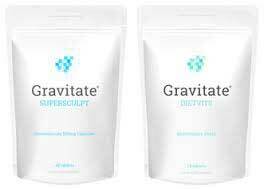 The first product is an appetite suppressing diet pill called Gravitate Supersculpt. The second product is vitamin and mineral complex called DietVits and Gravitate say they adopted this two-pronged approach to weight loss because they wanted to create the most powerful weight loss supplement available. Such a lofty ambition required the use of a lot of ingredients. Far too many to fit into just one pill, so rather than reduce the amounts involved they decided to provide effective doses by splitting the ingredients between two different pills. Best results will only be obtained if and DietVits are used alongside the exercise and diet recommendations laid out in the booklet provided with them. Only one DietVits tablet is needed per day. The timing is not important, but it has to be taken with water and food. The Supersculpt capsules are taken three times a day, with 1-2 glasses of water, 15 to 60 minutes before a meal. A dose is two capsules, so Gravitate kit users will need to take a total of seven pills per day. Konjac fibre, also known as Glucomannan (500mg): A water-soluble plant extract that expands in the stomach when it is exposed to water and creates a feeling of fullness that provides appetite suppression. Many studies prove konjac can encourage weight loss, and a review of the studies, carried out by the European Food Safety Authority, is equally supportive. However the EFSA have set out strict recommendations regarding the amount of konjac that should be used each day, how many doses are required, and how many glasses of water konjac must be consumed with. 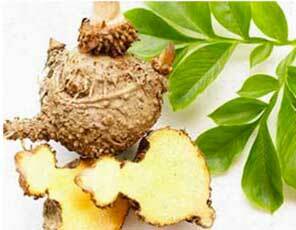 The EFSA also stress the importance of using konjac in conjunction with diet and exercise. Gravitate Supersculpt provides the correct dose, Gravitate are recommending the right amount of water, and they are also encouraging dieters to use their products with diet and exercise. As far as Gravitate Supersculpt goes, Gravitate has got everything 100% right. Dieters who have restricted their eating activities may not get all the vitamins and minerals their body needs and this could cause feelings of fatigue. Such a lack may also have a negative effect on the mood, weaken the immune system, and make the body more susceptible to disease. The contents of the DietVits tablet should be more than adequate for preventing such a situation from arising. Side effects are unlikely but Gravitate products are not meant for anyone who is under 18 years of age. People with existing health problems, and people using medication, should seek medical advice before using supplements of any kind. Women who are pregnant or lactating are also urged to consult a doctor before using weight loss supplements or attempting to reduce their body weight. What Makes Gravitate Different & is it Worth the Money? 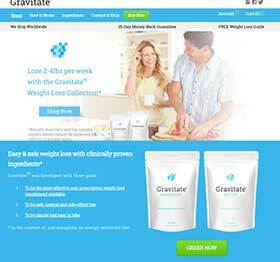 The fact that Gravitate treat Supersculpt and DietVits like a single product is certainly unusual and dieters who order a Gravitate weight loss kit will discover the pills are packed in resealable bags instead of bottles. However, the real difference between Gravitate’s products and other diet supplements is they are more likely to work because the quality and amount of ingredients involved are just right. The free diet and exercise booklet is also important because it can help dieters to get off on the right foot and make sure their lifestyle is geared for weight loss success. 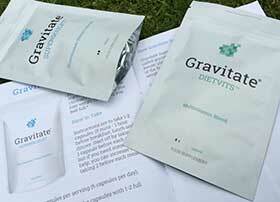 Both Gravitate products are vegetarian friendly and neither one contains any stimulants. Although these features are not unique, supplements that are vegetarian friendly and suitable for people who do not tolerate stimulants well are in the minority. The cost of a Gravitate weight loss kit can be as low as £19.99 (14 day supply) or as high as £119.99 (120 day supply). This is not unreasonable for a product of this quality and many dieters have been tricked into spending much more on products that do not work. However, dieters who have been burned in the past can buy in confidence because Gravitate back their products with a 35 day money back guarantee. Adonia Tummy Tone Serum is a topical application that is used as part of a home body wrap treatment and is designed to offer a temporary reduction in waist size. The serum is produced in the USA by Greek Island Labs and marketed under Adonia Organics brand name. According to the marketing material users who apply the serum and use it in the recommended way can reduce their waist size by 2″ and the whole process takes less than an hour. If you are serious about losing weight, fat burning in particular then a supplement combined with a healthy diet and exercise is the only way. It is virtually IMPOSSIBLE to rub a chemical into your midriff and expect the excess body fat to evaporate. Try Superfruit Slim for a month – if you do not see any results then you can apply for a refund, the guarantee period is 30 days. The system has already proved to be very popular in the USA and has a number of celebrity fans, including Jena Sims from CSI: Crime Scene Investigation. Adonia Tummy Tone Serum is not without celebrity backing in the UK either. Although the serum can be self-applied, most people may find it easier to recruit a friend to assist them with the body wrapping process. Stage 1: Apply a generous amount of serum to the belly and love handles and massage it into the skin for one minute. Stage 2: Apply a second helping of serum, but allow it to remain on the surface of the skin rather than massaging it in. Stage 3: Apply the wrap. Three to four layers are required and the wrap should be stretched tight. Stage 4: Lie down for 55 minutes and cover the belly with a blanket to keep the area warm. Stage 5: Remove the wrap. The Adonia Organics website offers very little information about how the process works, but the site has an embedded video demonstration, taken from the Rachel Ray Show (TV Series), that is more informative. The show’s medical expert is shown applying the serum and wrap to the belly of a middle aged woman, who walks onto the stage an hour later with a visibly less saggy-looking stomach. The measurements showed a waist size reduction of 2″. The doctor then told Rachel Ray the serum contains moisturisers and essential oils, to improve skin quality, and capsicum to improve circulation and help the treated area to lose “water weight”. What the Scientists Say about Adonia Tummy Tone Serum One study suggests topical applications of capsaicin (the active ingredient in capsicum peppers) may increase blood flow, but did not explore the effects this may have on the water content of surrounding tissues. Geranium oil is reputed to be effective for treating sagging skin, and evening primrose oil is known to be particularly nourishing for the skin. Many of the other ingredients are believed to be equally beneficial for the skin, but the ratios involved here are not provided, so it is not possible to predict how well the combination is likely to perform. Greek Island Labs financed a study at AMA Laboratories in New York. The researchers applied the serum to the test subjects, as per the instructions, and recorded a 2″ reduction in waist/belly circumference. The Adonia Organics website contains a number of four and five star reviews, but customer comments left on other sites suggest the process may not work for everyone. “I wanted to believe so I gave it a go. I rubbed in the lotion, I pulled the wrap tight, donned a blanket and waited an hour. My stomach maybe looked a little less wrinkly, but my waist size stayed the same. Adonia Organics does not use animal testing. Adonia Tummy Tone Serum costs £49 from the Adonia Organics website and customers who sign-up for automated billing and shipping (every 30, 60, or 90 days) are rewarded with a 20% discount. The company also offers a buy two get one free deal and all purchases are protected by a 60 day money back guarantee – this will probably need as we are not impressed. According to XLS Medical their Direct Powder Sticks can help the user lose up to three times as much weight as would be achievable by dieting alone. The sticks (actually a stick-shaped sachet of powder) are designed to work as a fat binder, and fat binders that work can provide very impressive weight losses. 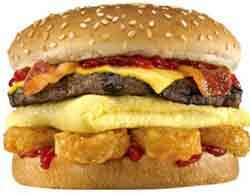 Fat is a high calorie food and people who eat too much fatty food generally pay the price by piling on the pounds. Whenever an effective fat binder is consumed alongside foods that contain fat (cheese, red meat, crisps etc.) the fat binder attracts the fat from the food and bonds with it to form a gelatinous mass, making the fat as impervious to the digestive enzymes as the fat binder itself. The presence of such a mass in the stomach often creates a feeling of fullness that suppresses the appetite. In due course, however, the mass makes its way through the intestines and is finally passed as stool. Because cholesterol is also a fatty compound it is also susceptible to the fat binding process, so a good fat binder, when used alongside a healthy diet, can help ensure a good cholesterol level as well as contribute to weight loss. Who Makes XLS Medical Direct Powder Sticks? 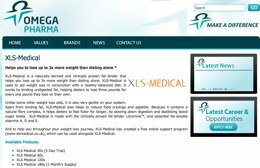 XLS Medical Direct Powder Sticks is just one of several fat binding supplements manufactured by the leading European company Omega Pharma. As well as the XLS Medical brand, the company also owns Predicta (pregnancy test), Solpadine (pain killer), and around 2,000 other brands, many of which are household names. What are the Ingredients used in XLS Medical Direct Powder Sticks? The active ingredient is Litramine. Litramine is a trademarked ingredient produced by InQpharm. It contains Prickly Pear (opuntia ficus-indica), an ingredient famed for its fat binding abilities, along with a soluble fibre that can lower cholesterol levels and improve cardiovascular health. 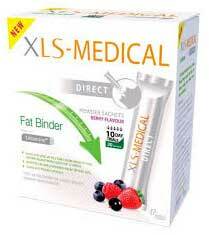 Several studies have been conducted on, and are highly supportive of, Litramine’s fat binding abilities. More Litramine subjects lost at least 5% of their initial body weight compared to the placebo group (P = 0.027). When compared with the placebo group, the Litramine group also showed significantly greater reduction in BMI, body fat composition, and waist circumference. Litramine was well tolerated and no adverse reactions were reported. 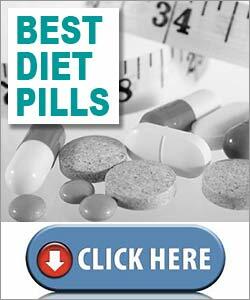 The researchers concluded Litramine is “effective in promoting weight loss”. Once stick is taken three times per day and it is recommended the sticks be taken just after a meal has been eaten. No water is required, the sachet is just torn open and poured into the mouth, where it mixes with the natural juices it finds there and can be swallowed easily. Supplementation can be continued for one month or longer, depending on personal needs. Side effects are unlikely, but pregnant or nursing mothers are advised to seek medical advice before taking any kind of weight loss-providing supplement. Anyone who has any existing health issues ore concerns about their health should also consult a doctor prior to taking supplements or commencing a weight loss regimen. Anyone looking to buy XLS Medical Direct Powder Sticks will probably need to look no further than their nearest branch of Boots or Superdrug, or other favoured pharmacy. Prices tend to be around the £40 mark, but a few suppliers charge much more and, in general, buying online is a good way to save a few extra pennies for a rainy day. Although XLS Medical has a good reputation it does not rank as one of our top or recommended products.